Every day we are bombarded by the news that something new was made or developed. New methods were discovered; a new process we need to follow; we hear almost everywhere that our world is evolving and that some things become old while new things emerge and make our lives better. And many people are more than happy to embrace the new things as they make our lives more comfortable, allowing us to work more efficiently and enjoy a better use of our resources. It is enough to take a look at how technology has advanced, and we will understand what new and old mean. Old are the computers people used a few decades ago, which functioned very slowly and were capable of very few operations. Old are telephones, in comparison with the modern smartphone like the iPhone, which is more of a miniature computer than just a mere phone. Old is teleshopping when you can easily shop online these days for everything you may need. Recruitment is full of innovation like A.I., Chatbots, Deep machine learning, Growth hacks and more new things are coming every year. We sourcers love new things; they turned our stereotypical work into something more interesting. “Cold calling is dead!” “Sourcing with Boolean search strings is so old!” While some may try to push aside the old ways to make room for the new ones, we should not rush to ditch the old ways. If you are using one tool and the company stops developing it or goes bankrupt your work will be affected by that. That is why, before removing the old ways, we should do our best to understand them and be aware of them because we need to know how we ended up in our modern days. 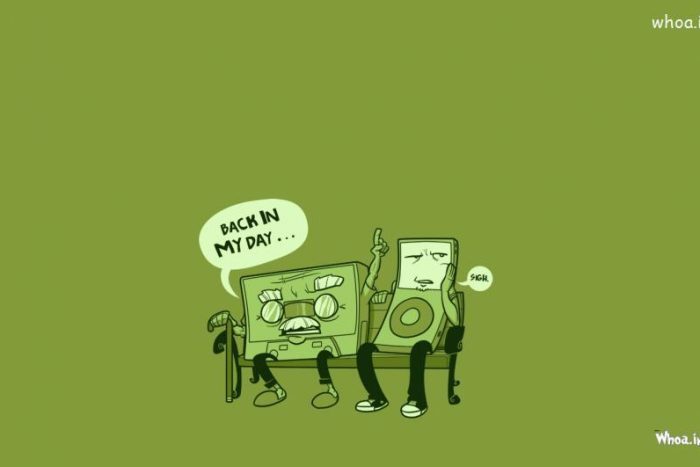 You see, something cannot be new if it wasn’t for the old that preceded it. In other words, the smartphone could not have existed without the invention of the telephone and, later on, of the computer. So, instead of abandoning the old ways, we should try to extract as much information from them as possible. Even though it may be hard to believe, some old ways can be beneficial in allowing us to come up with better new ways. In some cases, the solutions we are looking to find are in the old ways, so ignoring them may not be the best way to go. We can’t deny the fact that the new ways we adopted are much better and that our lives are much more comfortable than they were a couple of years ago, while some old ways turned out to be useless and a waste of time. Many of the current new ways were created to increase our efficiency, both in our professional and personal life alike. For example, let us take a look at the new recruitment technology. A while ago, managers and CEOs had to look at very many resumes per day, manually, to find the right candidates for the open position in their company. This made the recruitment process a dreadful one for the executives, who ended up losing a lot of their precious time by being unproductive. Of course, you will say that there are recruitment companies to do this task in their place, which is true, but they don’t always recommend the best candidates for a particular position because they have limited inside information about the company. Fortunately, we have artificial intelligence to help us out with this particular process nowadays. First of all, AI helps the HR experts of a company find the right talents for a job quickly and efficiently. This technology scans the resumes of the candidates and finds those that suit the job requirements in the best way possible. Thus, this part of the recruiting process, which is processing the information provided by the candidates, is solved by AI technology. AI is still not able to replace the recruiter, but it’s a great tool that saves time and makes some parts of our work more efficient. But what if something wrong happens one day and AI stops functioning? What if the system shuts down, will we be able to resume our activity? While there’s nothing wrong with using the emerging technology to do daily tasks more efficiently, we tend to rely too much on technology and the new ways. Most people abandon the old ways because they think they will never be used again. But if a scenario in which technology will not be present does happen, how will we manage? No one says that we should think about such a grim future, but no one can know for sure what will happen in a few decades from now. We may evolve, or we may regress, and we will have to manage regardless of the situation. This is why it is worth knowing the old ways, even if we have stopped following most of them. We need to have this information, the “old” skills, embedded in our minds as a backup plan. We need to be prepared for anything, to know how to handle a situation in every condition, even when technology is not available. We should not avoid the “old ways” because they are part of who we are, and they contributed to the development of the ways we so gladly use today. We should keep them in mind for the sake of not being so dependent on technology, no matter how convenient and comfortable this may seem because the old ways still have the power to stimulate our minds and challenge our thinking process, which is just what we need to produce innovating ideas and solutions. Jan Tegze, Senior Recruiting Manager, results-oriented Talent Acquisition Leader with extensive experience in full life cycle recruiting, and broad knowledge in international recruiting, sourcing, recruitment branding, recruitment marketing, and pro-active innovative sourcing techniques. Author of the Sourcing.Games, Recruitment.Camp, SourcingTest.Online and blogger who believes that recruitment is a great field and he is constantly trying to make it better. He is also the author of the book Full Stack Recruiter: The Modern Recruiter’s Guide and Full Stack Recruiter: New Secrets Revealed.